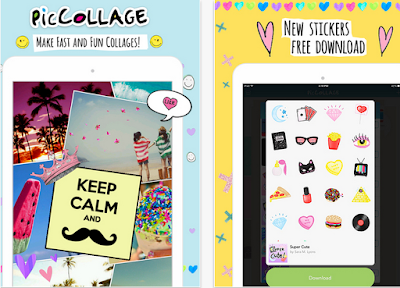 Pic Collage for Kids is a wonderful iPad app for elementary and middle schoolers. It’s from the same creators of the popular Pic Collage we reviewed awhile back. This app is designed particularly for young learners to help them create amazing collages and enhance their creative thinking. Safe for all ages and perfect for classrooms, no social features. Import photos from your photo library. Easily "Clip" photos by outlining the area you want with your finger. Hundreds of free stickers that are fun and creative, perfect for you and your kids! Choose square or portrait layout. Double-tap a photo to clip photo, adjust borders, duplicate images and "flip" stickers!